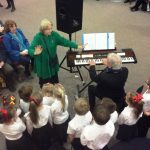 This short service has become a firm part of the St Mungo Festival, bringing St Mungo to a wider audience, as it takes place on the ground floor of the Mitchell Library between the Theatre and the Café, and attracts the attention of those visiting the Library for other reasons than the Festival. 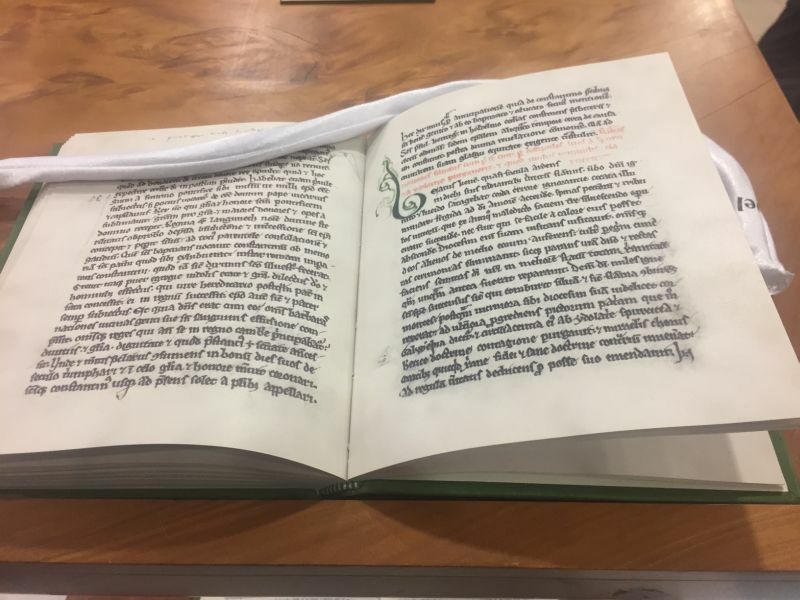 The service centres round the Vita Kentigerni, the mediaeval life of St Mungo written by Jocelyn of Furness at the behest of Bishop Jocelyn of Glasgow in the 12th Century, an original manuscript of which is in Dublin with facsimile copies in Glasgow. 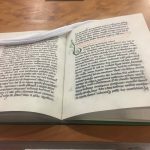 To lead into the reading of excerpts from the Vita, Carissa Swan played some gathering music on the harp, and the St Mungo Singers sang the beginning of the plainchant Vespers of St Mungo from the Aberdeen Breviary to set the scene. 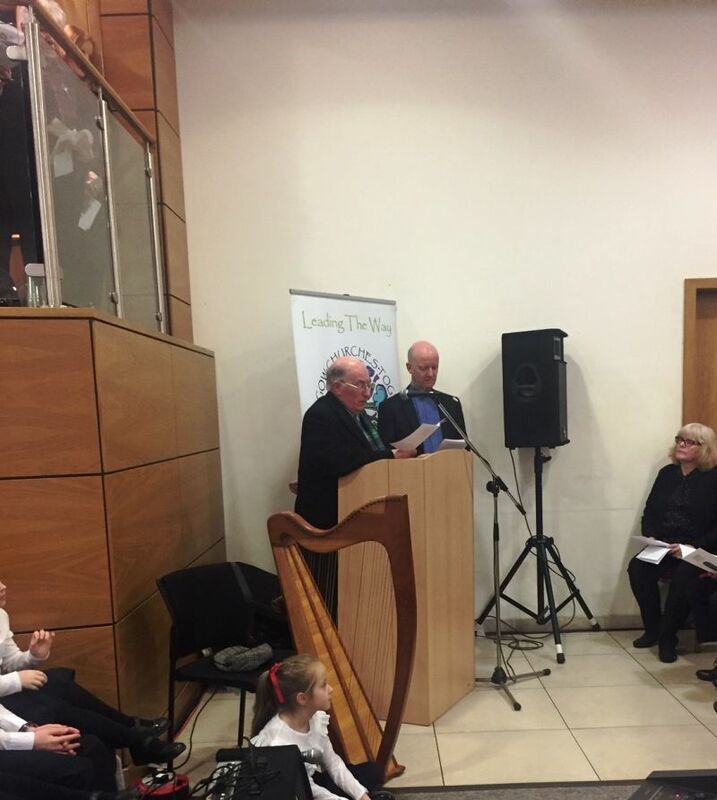 Mrs Catherine McMaster of the Mediaeval Glasgow Trust, welcomed everyone and invited those in the café and those passing by to take a few moments out to go back in time to the 12th century and listen as the monks had then to the readings. 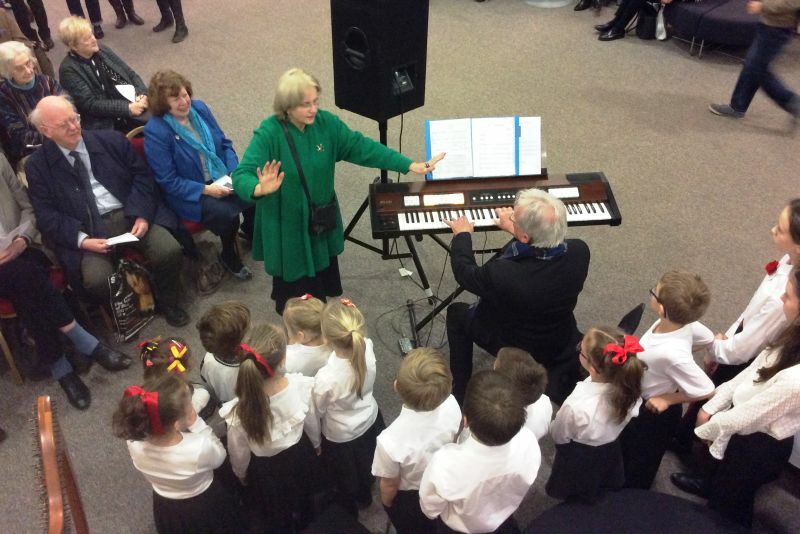 This was followed by the members of the Children’s Singing Studio of the Russian Orthodox School in Glasgow– the parish is dedicated to St Kentigern – singing the Glorification of St Kentigern (accompanied by a co-opted pianist in the shape of Mgr Gerry Fitzpatrick) under the direction of their conductor Svetlana Campbell. 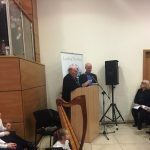 The excerpts from the Vita were read in the original Latin by Archbishop Emeritus Conti and in English by Rev Roy Henderson, Moderator of Glasgow Presbytery. This year the subject of the excerpts was the good works of St Mungo in spreading the Good News of the Gospel in Glasgow and beyond. The short service ended with the singing of what has become known as the Glasgow anthem Let Glasgow Flourish before those involved retired for refreshments and/or a big if belated breakfast.